CBI 2.17 | Abbiamo visto tutto! In this episode of Coffee Break Italian, we’re continuing to learn about the Perfect Tense, this time focusing on verbs which have irregular past participles. You’ll learn to form past participles for irregular verbs and you’ll also learn about the groupings of irregular verbs which form their past participles in similar ways. The audio lesson is free, as are all the main audio lessons of Coffee Break Italian. Use the audio player to listen to the lesson, or subscribe in iTunes to receive this lesson and all future lessons automatically. If you can’t see the player below, click here to access the lesson. 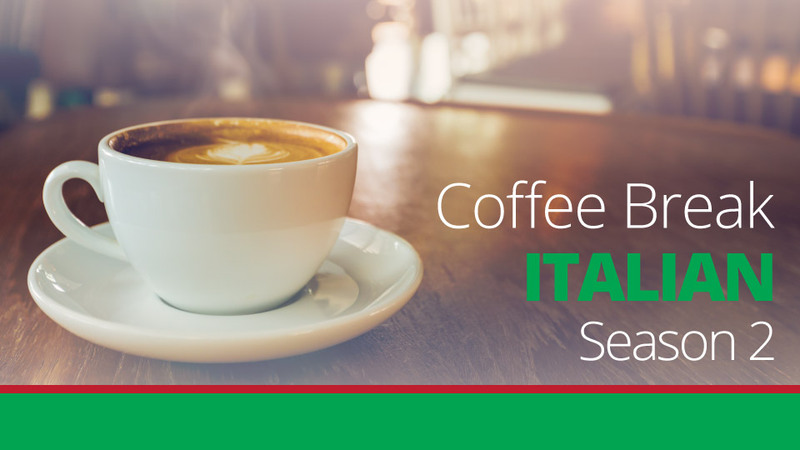 The premium version of Coffee Break Italian provides additional materials which will help you move forward more effectively with your Italian studies. comprehensive lesson notes: study the language of each lesson in greater detail and access additional information about the Italian language (pdf format). The members’ version can be accessed on the Coffee Break Academy. 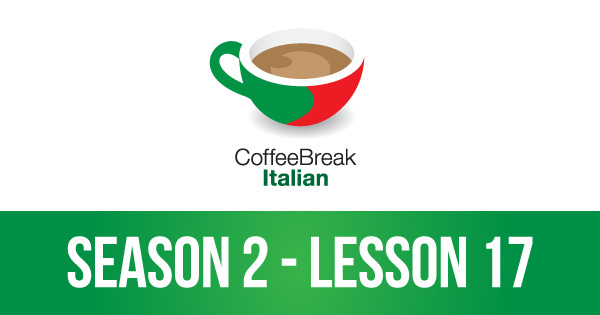 The premium version of Coffee Break Italian Season 2 provides additional materials which will help you move forward more effectively with your Italian studies. These are available on the Coffee Break Academy.